One of the best things about owning an Aga is being able to cook drop scones at the drop of a hat. Of course you don’t need an Aga to make drop scones, a frying pan will do, but there is something so very satisfying about making them direct on the hot plate itself, which of course is always hot and ready to go. 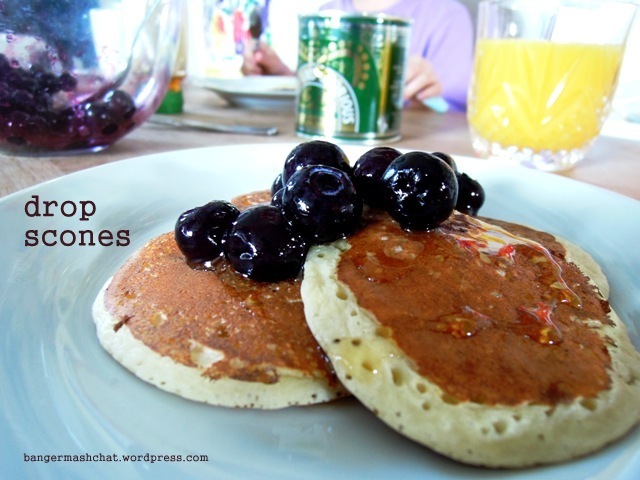 These drop scones are incredibly easy and take literally minutes to prepare. They’re just as good for a teatime treat as they are a weekend breakfast, and the children adore them. The recipe I use here is from The Aga Book by Aga supremo Mary Berry, although she calls hers Scotch pancakes. Sunflower or vegetable oil for greasing. Place the flour and sugar in a large bowl. Make a well in the middle and pour in the egg and half the milk. Mix well until it forms a thick batter and then mix in the rest of the milk. Lightly grease the Aga simmering plate with a little oil, or grease a frying pan and place over a medium heat. When the fat is hot, use a tablespoon to carefully spoon the batter onto the plate or pan, spacing well apart. Cook for only around 30 seconds until tiny bubbles form on the surface, then use a spatula to turn them over. Cook again on the other side for another 30 seconds until golden brown. 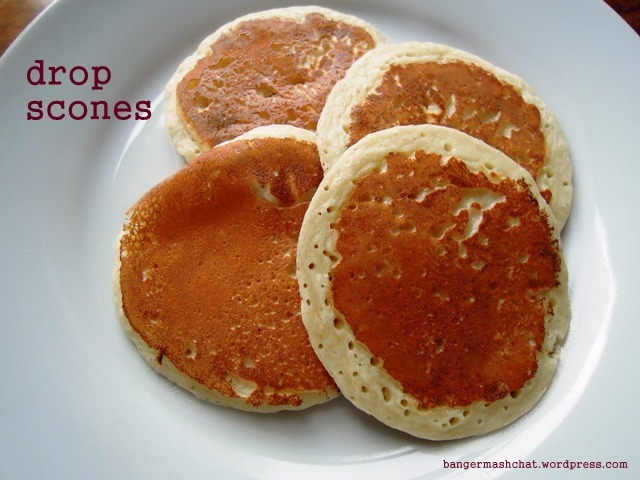 Keep the drop scones warm until you’ve worked through all the batter and serve with whatever takes your fancy. We like ours with berries and either honey or golden syrup, or you might prefer a little butter and jam. These look like they would make a great after-school snack – serving them with some berries sounds like a really good idea too. Thanks Sarah – yes absolutely perfect for a quick and easy after-school snack. The kids love watching them cook too. 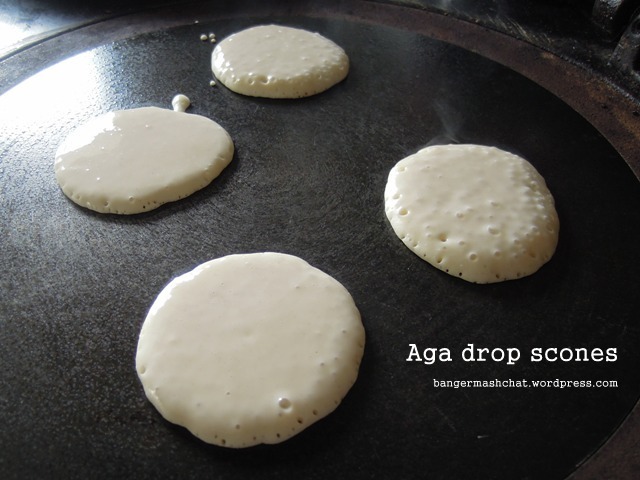 I love drop scones, have made them from River cottage recipe and used hotplate of my woodburning stove similarly to your Aga. Yours look wonderful, glad you’ve reminded me I need to make them before it’s too warm to still occasionally light woodburner in the evening. We’ve had a lovely balmy sunny day here in Somerset – not sure how much longer you’ll be wanting to light your woodburning stove!